Appearance: Carpeting adds to the décor by using color, patterns, and pile heights. The carpeting can create the image you want in your home or business. Choose between a short rug for traditional flooring and a luxurious, longer cut for soft cushioning under your feet. Both are cozy options. Style: With the hundreds of patterns, cuts, and colors, there are literally thousands of possibilities to “fulfill” the style statement. Whether your home has a cool, contemporary feel or a darker, more dramatic ambiance, there is a carpet color that can match your home’s style. Solid colors as well as patterns and intricate designs are available to coordinate and even enhance any decor. Insulation: Carpet can help save energy as it is an important contributor to the insulation of the indoor environment. Carpet insulates floors as it provides a psychological feeling of warmth. Cold floors are uncomfortable in the winter months as heated surfaces are unwanted during the summer. With a quality carpet in place you can save on these inconveniences and on your monthly heating and cooling costs as well. Feel: Try curling up in front of the fireplace on a hard surface floor. Carpet feels good, soft, and easier on the feet. It also gives a “softer” feel to the home. Walking on a hard surface can cause pain and discomfort on the heels and balls of your feet while radiating up to your knees and hips. A carpet provides a cushion that absorbs the shock and reduces the added stress on your lower body. Acoustics: Several studies find that carpets absorb sound and carpets with padding further enhance this ability. For entertainment set ups that include speakers and other equipment, carpeting can help improve the sound. Due to the sound vibrations being absorbed into the layers of carpeting and not reflecting off of a solid base, they are clearer and more enjoyable. Safety: Invariably, slip-and-fall accidents occur on hard surface floors, not carpeted floors.From toddlers taking their first steps to elderly family members that need assistance when walking, a carpeted floor can prove to be much safer than a harder surface. Small children fall and tumble when first getting their bearings straight, as do older people when they have joint pain or difficulty walking. Having a softer surface can aide if a fall should happen to occur. Health: Carpet traps allergens, dust, and other contaminants, holding them until they can be properly removed. A carpet acts as a sponge for your homes airborne agents. Instead of haphazardly floating through the air that circulates, a carpet traps particles and keeps them away from your family. Easier to maintain: Carpeting is less labor intensive to clean and maintain than hard surface flooring and, because of this and as mentioned, can cost less to maintain, as well.Occasional spots and spills are relatively easy to remove. Commonly found carpet-cleaning products have the power to quickly and seamlessly take out stuck in stains. Other surfaces are prone to cracks, splits, and holes while carpeting is easier to maintain. Sustainable and Inexpensive: New technologies have been introduced allowing old carpet to be recycled into new carpet or other products; according to one manufacturer’s study, of 121 million pounds of worn carpet collected, 85 percent was recycled into new carpet, eliminating the need for acquiring raw materials. 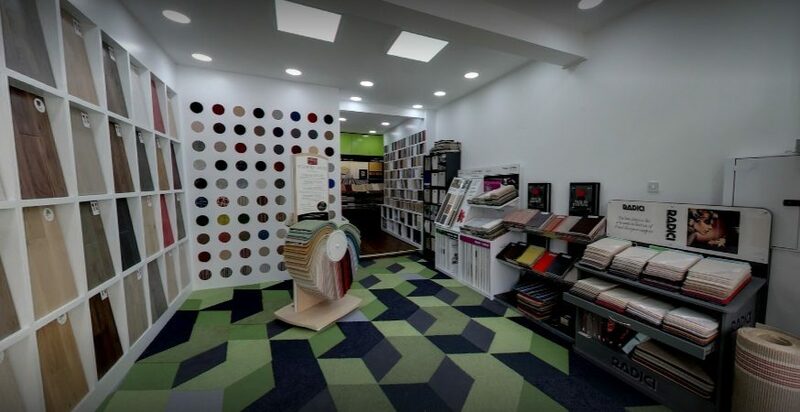 In comparison to other choices available for your home flooring needs, opting for carpeting can turn out to be quite inexpensive. The materials, installation, and maintenance combined can be much more affordable than other options.